2017 - Devam Ediyor : Prof. Dr.
2012 - 2017 : Doç. Dr.
2006 - 2012 : Yrd. Doç. 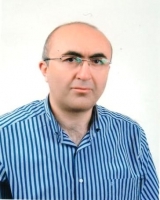 Dr.
2004 - 2006 : Dr. Öğr. Gör. 2001 - 2004 : Öğr. Gör. 2018 - Devam Ediyor : Veteriner Fakültesi Dekan V.
Yilmaz S., Kirak M., "An investigation on the e ect of impurity position on the binding energy of quantum box under electric eld with pressure and temperature", International Journal of Modern Physics B, vol.32, pp.1850154(1-13), 2018. Kirak M., Yilmaz S., "Impurity position effects on the linear and nonlinear optical properties of the cubic quantum dot under an external electric field", J. Phys. D: Appl. Phys., vol.48, pp.325301(1-8), 2015. Kırak M., Yilmaz S., “Binding Energies and Linear and Nonlinear Optical Properties of a Donor Impurity in a Three-Dimensional Quantum Pseudodot”, Verlag der Zeitschrift für Naturforschung, vol.68, pp.744-750, 2013. Yilmaz S., “Nonlinear Optical Rectification and Oscillator Strength in a Spherical Quantum Dot with an Off-Center Hydrogenic Impurity in Presence of an Applied Electric Field”, Journal of Computational and Theoretical Nanoscience, vol.10, pp.1-7, 2013. Kirak M., Yilmaz S., Temizer U., “Nonlinear Optical Rectification and Oscillator Strength in a Spherical Quantum Dot with Parabolic Confinement in the Presence of the Electric Field”, Journal of Nanoelectronics and Optoelectronics, vol.8, pp.1-5, 2013. Kirak M., Altinok Y., Yilmaz S., “The effects of the hydrostatic pressure and temperature on binding energy and optical properties of a donor impurity in a spherical quantum dot under external electric field”, Journal of Luminescence, vol.136, pp.415-421, 2013.